Most cardiologists and lipid experts have long subscribed to the "cholesterol hypothesis." The cholesterol hypothesis, simply stated, is that an elevated blood level of LDL cholesterol is a direct cause of atherosclerosis. Therefore, taking action to reduce our LDL cholesterol levels is an important step in lowering our risk of developing atherosclerotic cardiovascular disease. For decades, experts have urged us to alter our diets in ways designed to reduce our cholesterol levels, and pharmaceutical companies have spent multiple billions of dollars developing drugs for lowering cholesterol. The cholesterol hypothesis has become ingrained not only among doctors and the medical-industrial complex, but also among the population at large. So, it may come as a surprise to hear that many lipid experts and cardiologists are now questioning whether the cholesterol hypothesis is true after all. While the debate among professionals over the cholesterol hypothesis has largely taken place behind the scenes and not in the public sphere, that does not diminish the vigor and passion of the argument. So, despite the public pronouncements of some prominent experts, the cholesterol hypothesis is clearly not "settled science." The cholesterol hypothesis is based on two important observations. First, pathologists showed a long time ago that cholesterol deposits are a major component of atherosclerotic plaques. Second, epidemiological studies—in particular, the Framingham Heart Study—showed that people with high blood levels of cholesterol have a significantly greater risk of subsequent cardiovascular disease. Then, in the 1990s, randomized clinical trials demonstrated that selected groups of people with elevated cholesterol levels achieved improved clinical outcomes when their LDL cholesterol levels were reduced with statin drugs. For many experts, these trials proved the cholesterol hypothesis once and for all. During the intervening years, however, the cholesterol hypothesis has been called into serious question. While several randomized clinical trials with statin drugs continue to lend strong support to the cholesterol hypothesis, numerous other cholesterol-lowering trials, using drugs other than the statins to reduce cholesterol levels, have failed to show a clinical benefit. The problem is that, if the cholesterol hypothesis were actually true, then it should not matter which drug is used to reduce cholesterol; any method of lowering cholesterol should improve clinical outcomes. But that is not what has been seen. Studies in which LDL cholesterol levels were substantially and significantly lowered with niacin, ezetimibe, bile acid sequestrants, fibrates, CETP inhibitors, hormone replacement therapy in post-menopausal women, and low-fat diets, generally have not been able to show improved cardiovascular outcomes. Indeed, in some of these trials, a substantially worse cardiovascular outcome was seen with treatment, despite improved cholesterol levels. As a general synopsis of the body of cholesterol-lowering trials conducted so far, it is fair to say that reducing cholesterol levels with statins seems to improve cardiovascular outcomes, but reducing them with other interventions does not. This result strongly suggests that the benefits of cholesterol lowering seen with statin therapy are specific to the statins themselves, and cannot be entirely explained by simply lowering LDL cholesterol. For this reason, the cholesterol hypothesis, at least in its classic form, is now in serious doubt. The growing doubts about the cholesterol hypothesis became very public in 2013, with the publication of new guidelines on the treatment of cholesterol. In a major break with prior cholesterol guidelines, the 2013 version abandoned the recommendation to reduce LDL cholesterol to specific target levels. Instead, the guidelines simply focused on deciding which people should be treated with statins. In fact, for most patients, these guidelines generally recommended against using non-statin drugs to lower cholesterol. At least tacitly, these guidelines abandoned the classic cholesterol hypothesis, and thus they created tremendous controversy within the cardiology community. The case for declaring the cholesterol hypothesis dead goes like this: If high LDL cholesterol was really a direct cause of atherosclerosis, then lowering LDL cholesterol levels by any method should improve cardiovascular outcomes. But, after scores of cholesterol-lowering clinical trials using many different cholesterol-reducing agents, this expected result is not what has been seen. So, the cholesterol hypothesis must be wrong. Statins represent a special case when it comes to cholesterol-lowering therapy. Statins have many effects on the cardiovascular system in addition to reducing cholesterol levels, and these other effects (which taken together amount to stabilizing atherosclerotic plaques) could explain much, if not most, of their actual clinical benefit. Drugs that lower cholesterol without having these other, plaque-stabilizing characteristics seem not to result in this kind of benefit. Therefore, it is reasonable to postulate that statins do not really improve cardiovascular risk by reducing cholesterol levels, but rather, might be doing so by means of these other, non-cholesterol effects. A lot of doctors, and a fair number of cholesterol experts, seem to be ready to accept this line of thinking and to abandon the cholesterol hypothesis altogether. Other experts—likely the majority—still strongly disagree with the idea that cholesterol levels aren’t that important. They hold this view because of the simple fact that, no matter how you cut it, when it comes to atherosclerotic cardiovascular disease, cholesterol does matter. Atherosclerotic plaques are simply loaded with cholesterol. We also have strong evidence that the cholesterol that ends up in the plaques is delivered there by LDL particles. Furthermore, there is at least some evidence that, when you reduce LDL cholesterol in the blood to very low levels, you can even begin to reverse the atherosclerotic process—and make plaques shrink. Given this line of evidence, it seems very premature to assert that cholesterol levels do not matter. While the original cholesterol hypothesis pretty clearly needs to be revised, that’s the nature of hypotheses. A hypothesis is nothing more than a working model. As you learn more, you change the model. By this reasoning, it's time for the cholesterol hypothesis to be revised, not abandoned. 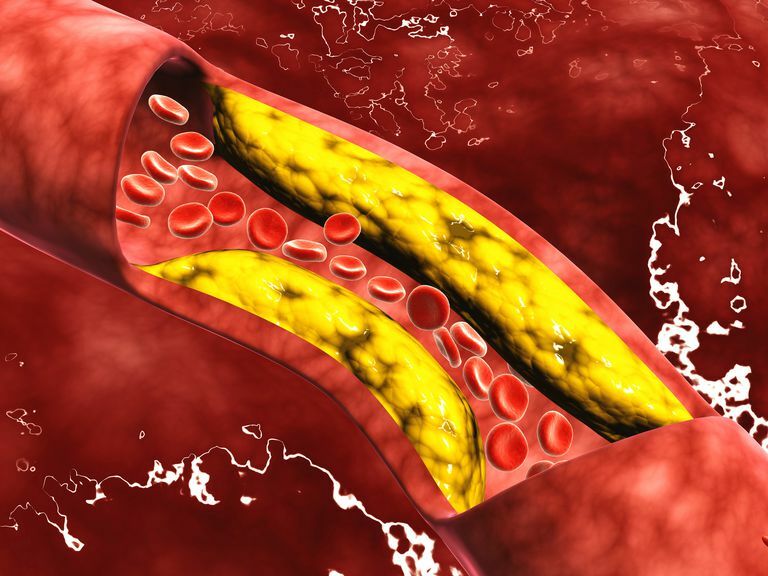 It seems certain that cholesterol is important in the formation of atherosclerotic plaques. It also seems clear that, while increased LDL cholesterol in the blood correlates strongly with the risk of atherosclerosis, there is more to the story than just blood levels. Why do some people with high LDL cholesterol levels never develop significant atherosclerosis? Why do some people with “normal” LDL cholesterol levels have widespread cholesterol-filled atherosclerotic plaques? Why does lowering LDL cholesterol levels with one drug improve outcomes, while lowering LDL levels with another drug does not? It is now quite apparent that it’s just not cholesterol blood levels alone that are important—it’s also the type and behavior of the lipoprotein particles that carry the cholesterol. In particular, it’s how and when various lipoprotein particles interact with the endothelium of the blood vessels to promote (or retard) plaque formation. For instance, we now know that LDL cholesterol particles come in different "flavors." Some are small, dense particles and some are big, "fluffy" particles, the former being much more likely to produce atherosclerosis than the latter. Furthermore, LDL particles that become oxidized are relatively toxic to cardiovascular health, and are far more likely to worsen atherosclerosis. The makeup and the "behavior" of our LDL particles seem to be influenced by our activity levels, the type of diet we eat, our hormone levels, which drugs we are prescribed, and likely other factors which have not been defined yet. Scientists are rapidly learning a lot more about the various lipoprotein particles, and what makes them behave in various ways, and under varying circumstances. At some point, we will likely have a new, revised cholesterol hypothesis that takes into account our new learning about the behaviors of LDL, HDL, and other lipoproteins—behaviors that determine when, and how much, the cholesterol they carry is incorporated into plaques. And such a revised hypothesis (to be useful) will propose new ways of changing the behaviors of these lipoproteins to reduce cardiovascular disease. What About the PCSK9 Inhibitors? Some experts have claimed that clinical outcomes now reported with the PCSK9 inhibitors have rescued the cholesterol hypothesis, and in particular, that no revision whatsoever of the cholesterol hypothesis is needed in light of these results. These trials indeed showed that when a PCSK9 inhibitor is added to maximal statin therapy, ultra-low LDL cholesterol levels were typically reached, and with these low cholesterol levels a significant improvement in clinical outcomes was seen. But this result does not mean that the classic cholesterol hypothesis is thereby re-established. The individuals studied in these trials, after all, were still getting high-dose statin therapy, and therefore were getting all the "extra" plaque-stabilizing benefits which statin drugs provide. So, their clinical response was not due to "pure" cholesterol lowering. Furthermore, the favorable results obtained with PCSK9 drugs + statins does not negate the fact that cholesterol lowering with other drugs and other methods have generally failed to show a benefit. Despite the results now seen with PCSK9 inhibitors, the cholesterol hypothesis does not sufficiently explain what has been observed in clinical trials. What does seem clear is that the classic cholesterol hypothesis—the lower your cholesterol levels the lower your risk—is too simplistic to explain either the range of results we have seen with the cholesterol-lowering trials or the optimal methods for reducing our cholesterol-related cardiovascular risk. In the meantime, the experts are left in an uncomfortable place where the hypothesis they’ve pounded into us for decades is plainly obsolete—but they’re not yet ready with a replacement. With that in mind, it's important that you remember that lifestyle changes and medications prescribed to treat coronary disease, including lipid-lowering drugs, have proven benefits. Never stop a course of treatment without speaking with your doctor first. Cannon CP, Blazing MA, Giugliano RP, et al. Ezetimibe Added to Statin Therapy after Acute Coronary Syndromes. N Engl J Med 2015; 372:2387. Ray KK, Seshasai SR, Erqou S, et al. Statins and All-cause Mortality in High-Risk Primary Prevention: a Meta-analysis of 11 Randomized Controlled Trials Involving 65,229 Participants. Arch Intern Med 2010;170:1024–31. Sabatine MS, Giugliano RP, Keech AC, et al. Evolocumab and Clinical Outcomes in Patients with Cardiovascular Disease. N Engl J Med 2017; DOI:10.1056/NEJMoa1615664. Stone NJ, Robinson J, Lichtenstein AH, et al. 2013 ACC/AHA Guideline on the Treatment of Blood Cholesterol to Reduce Atherosclerotic Cardiovascular Risk in Adults: A report of the American College of Cardiology/American Heart Association. J Am Coll Cardiol 2013. PCSK9 Inhibitors for Cholesterol—Are They Really Miracle Drugs? Is It OK to Eat Eggs and Other Kinds of Cholesterol? What Does It Matter If You Have High Cholesterol? Can Amaranth Help Lower Your Cholesterol Levels? The Jury Is out on the Therapeutic Benefit of Evolocumab. Lipid-Lowering Drugs: What Are Your Options?